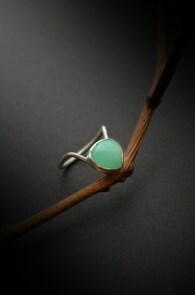 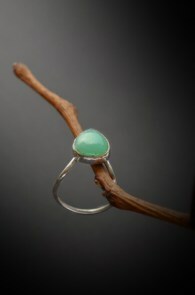 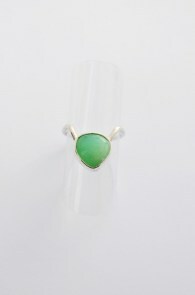 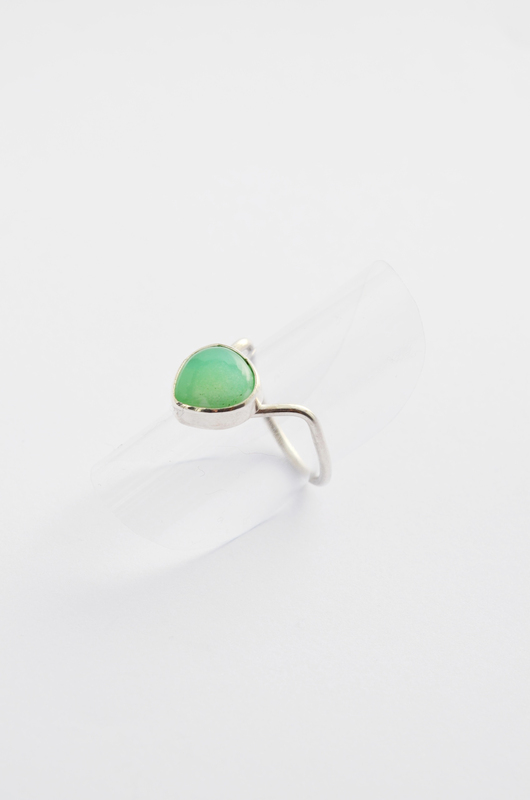 Quality Handmade chrysoprase ring at best jewelry prices. 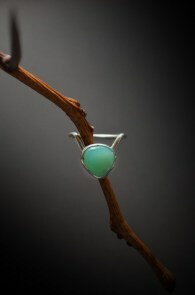 Chrysoprase is a distinct gemstone quality variety of chalcedony quartz, a cryptocrystalline form of silicon dioxide. Most green gemstones are colored by iron (tourmaline), chromium (emerald) or vanadium (tsavorite garnet), but chrysoprase derives its alluring coloration from nickel impurities which form within otherwise colorless quartz crystal. 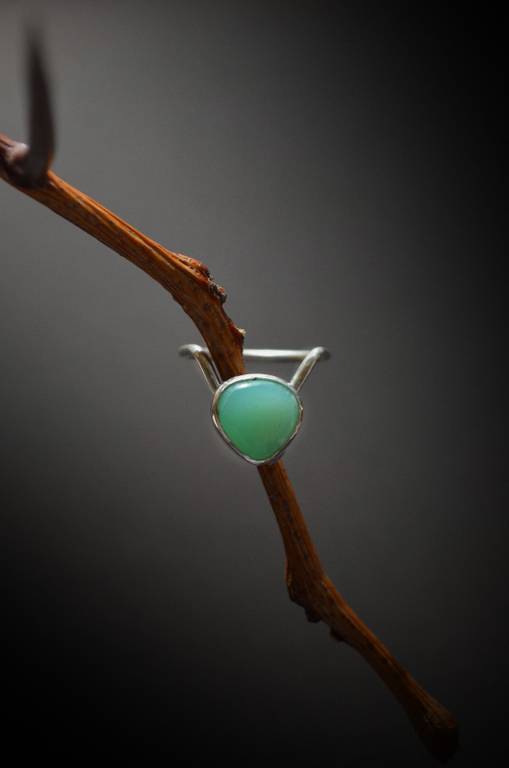 The name 'Chrysoprase' originates from the literal Greek translation 'chrusos' and 'prason', meaning 'gold' and 'leek', respectively; referring to its leek-green color and the presence of golden inclusions often formed within. 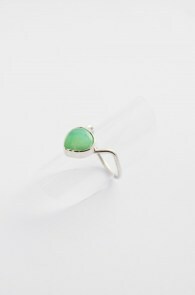 It was highly prized by Greeks, Roman and Egyptians alike for its many great powers and alluring soft color. In Greek legend, Chrysoprase was charged during open half-moons in order to ensure a happy marriage as well as good health.